Dr. Joseph Thayil is a graduate of Nova Southeastern University in Broward County, Florida, where he earned his bachelor of science in biology and doctorate in dental medicine. He then spent 18 months at the prestigious Long Island Jewish Hospital in Long Island, New York as a hospital dentist. Dr. Thayil has since devoted himself to hundreds of hours of continuing education in many areas of dentistry, but specifically in cosmetics and full-mouth reconstruction. 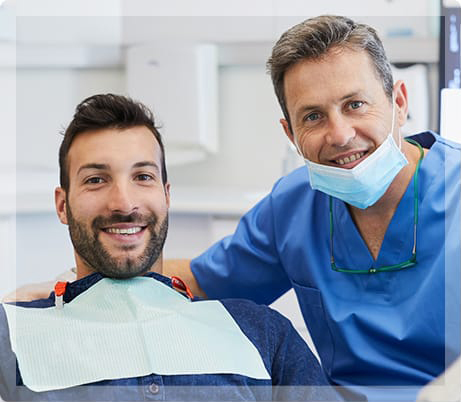 Dr. Thayil comes from a long line of professionals that includes dentists, doctors, optometrists, lawyers, and business professionals. When he's not at the office, you can find him helping out in the community, volunteering at his church, or participating in dental outreach programs in countries like India and Brazil. In his spare time, Dr. Thayil enjoys fishing, camping, playing racquetball, or watching his favorite sports teams like the Miami Dolphins and the Miami Heat. Dr. Thayil is happily married to his wife, Kari Thayil, and looks forward to spending time with his family in Florida and Michigan. He is also an active member of the Pompano Beach community. To arrange an appointment with Dr. Thayil, call My Pompano Dentist at (954) 941-2412 or use our convenient online appointment request form.